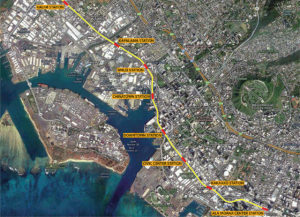 Nan, Inc. and the Honolulu Authority for Rapid Transportation will be holding an informational meeting to provide businesses and residents with details about the ongoing and upcoming utilities relocation work for the Honolulu Rail Transit Project. Staff members will be available at the meeting to answer questions. Click here for the informational flyer.